By: Karen Morrison on Mar 11, 2015, 12:25. I want to be on Pat’s team. Her makeup is flawless love her. Oh God, I hope I can be a makeup artist like Pat someday.. Such an amazing woman. Can’t get enough Pat. LOVE. I love you pat.no words for your talent.simply the best thank you for sharing your vision. Pat McGrath you are absolutely fabulous. You have such vision….you are an inspiration. I love makeup, fashion, advertising and pure talent. I am a Covergirl merchandiser and you inspire me. You are a sweetheart…..what a moving profile, in the day and the life of adventure with Auntie Pat. Don’t know the last one sorry! Lily and Raquel love them!! I’ve seen quite a few fashion shows over the years, and I can tell you that no one translates a designer’s collection on the catwalk better than Pat McGrath. If designers want it done, they hire anyone. 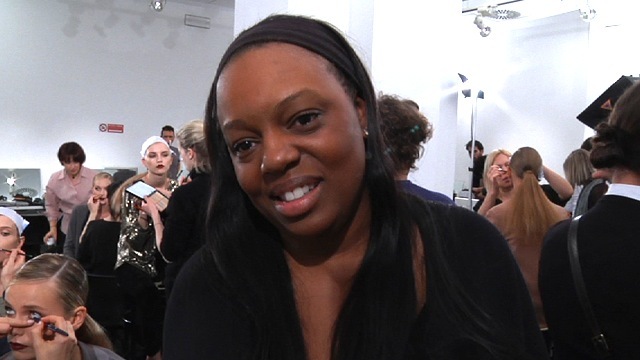 If designers want it done with soul, love, and with amplified imagination, they call Pat McGrath. I only wish that she had an official website loaded with more tutorials for looks that everyone can create for day and for work, not just for the catwalks. The Facebook page doesn’t show much. She’s the nastiest girl in the business. Just vile. Did anyone else notice how they always showed Natasha on the runway followed by Lily? Every time! I love Pat, she’s a true artist and she’s able to create a masterpiece out of everything she touch! It’s truly amazing and inspiring. I love her, I didn’t want this video to end! You can feel the passion she has for what she does and its wonderful. She has endless imagination! I adore Pat McGrath, she is very good at her art, but i also must pay tribute to many others, as in reference to make-up artist that are just as good as well, Scott barenes, Lisa Eldrige, Charlotte Tillbury, Kevyn Aucion, to many to list but she is up there with the best Love ya Pat! 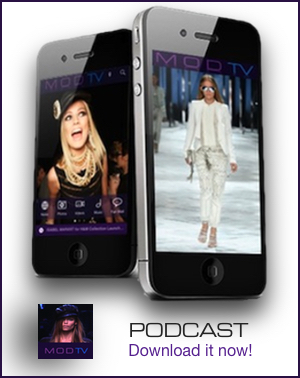 Who’s the girl next Natasha Poly at 1:19? Beautiful! Can someone please tell me the name of the song at around 5 mins? who’s the model at 3:13? top show from Prada to Dior. omg what show is that @ 3:06?? can someone tell me? how come the real makeup artist (not the youtube ones) don’t wear makeup when their at shoots? Those are great looks! She must be a lovely woman because everybody loves her. A true Genuis…and an artiste…anyone knows where did Pat go for a make up school?…or if she has one? WOW Pat McGrath does great make-up for the models. And she’s an amazing MAKE-UP ARTIST! She has some creative ideas and looks that she produces to bring something within the shows. What are the things on the model’s forhead at 7:44? Galliano, Alber Elbaz and Olivier Theyskens. Julia Stegner has such a pretty face..i´m so happy to see on Maybelline Ad…esspecially the latest Ad…Julia looks amazing ! pat is so def underrated!!!! this lady is queen of the world to me lol!!! Love when she says “Little bit more blush…” at 0.26 So chic!! omg what is the name of the song starting @ 0:12 I love it !!!!!!! What I would do for a makeup lesson from Pat…. GENIUS! I love Pat. She’s the best.